I finished reading Killing Lincoln a few days ago. 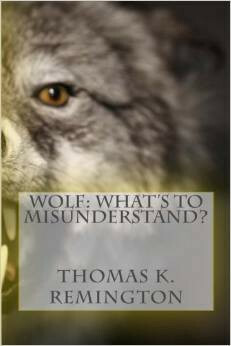 I recommend the book but with some suggestions. 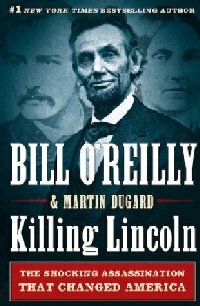 Killing Lincoln, by Bill O’Reilly and Martin Dugard, published by Henry Holt and Company, LLC., covers many of the details about President Abraham Lincoln’s assassination. Depending upon your level of knowledge and the amount of research you have done in your lifetime, will depend very much on how much in O’Reilly’s book you would find “new” information and how much as rehashed and regurgitated. I have read numerous books and writings on the killing of Lincoln, and I can say this one is well-written in the sense that it keeps your interest, even while constantly moving from one arena to another as the plot unfolds. 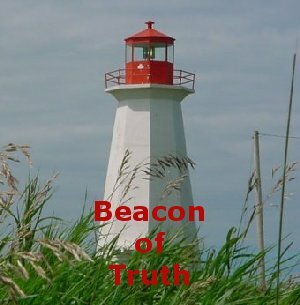 However, no new information is revealed and the book falls short on any in-depth research into the vastness of the conspiracy. Killing Lincoln spends much of the first 16 chapters setting the stage of Lincoln’s death by detailing battles and events that occur leading up to the ultimate surrender of General Lee at Appomattox. Mostly leaving the Civil War battlefields, Killing Lincoln draws in the majority of the conspirators behind the plot to kill, not only Lincoln, but V.P. Andrew Johnson, Secretary of State William Seward, Sec. of War Edwin Stanton and Union General Ulysses S. Grant. O’Reilly provides enough background and information on those he and co-writer Dugard believe to be the main planners in the conspiracy. As O’Reilly might call his “Back of the Book Segment”, the back of his book gives readers a glimpse as to what became of many of the key characters in his work. He even goes so far as to reproduce a copy of the April 29, 1865 edition of Harper’s Weekly. O’Reilly’s intent is to help readers get a better understanding of how the country was dealing with the killing of President Lincoln. Over the years many theories have existed as to who was really behind the killing of Lincoln. While Killing Lincoln, the book, casually addresses some of those theories, it is my opinion that had the authors spent less time (16 chapters) recounting the Civil War battles leading up to the assassination and more time digging a bit deeper into the most readily recognized and easily proven conspiracy theory, they could have provided readers with more or a real jaw-dropping read. The main hypothesis as to who or what was behind the killing of Lincoln points to the hierarchy of the Roman Catholic Church, led by the Jesuits and under the full direction of the Vatican. Much discussion can be made as to the Vatican’s involvement or lack thereof in Lincoln’s death but if you consider the testimonies and actions that took place after the assassination, a different light is shed on the conspiracy theory; at least enough to pique the curiosities of some and give pause to others. General Thomas M. Harris was a member of the military commission that tried and condemned the conspirators in Lincoln’s death. His accounts of those trials are quite revealing. If we follow the trail on one conspirator, John H. Surratt, whose mother ran a boarding house of sorts near Washington, D.C., it was learned that at different times all the conspirators would meet to discuss plans to kill Lincoln. Shortly after Lincoln’s murder, John Surratt was among the missing. O’Reilly, a catholic himself, mentions very little of John Surratt. In the Afterword, he tells how Surratt, the son of Mary Surratt who was hanged for her involvement, might have been saved if her son had returned to testify. The book states that John Surratt fled to Montreal and later ended up at the Vatican “where he served in the Papal Zouaves“. However, General Harris describes Surratt’s time at the Vatican as being confined to a room and protected from those searching for him in connection with the death of Lincoln. The Pope is forced to arrest Surratt but arranges for his escape. He is eventually captured in Egypt and taken back to America to stand trial. Gen. Harris points out the work of the Jesuits in controlling and manipulating the trial that ends in a hung jury and the release of Surratt. Gen Harris’s information is probably some, if not the most, credible of all those claiming theories on Lincoln’s death. His work is well worth the read I think. While many books have been written about Lincoln’s murder, Killing Lincoln could have been an even bigger blockbuster if they had taken the time to research into the validity of some of these theories, particularly that of Gen. Harris. Should I create my own conspiracy theory by saying that perhaps O’Reilly purposely avoided this theory because he is Catholic? I recommend the reading of “Killing Lincoln” and then follow it up with “Rome’s Responsibility for the Assassination of Lincoln” by Gen. Thomas M. Harris and “Fifty Years in the Church of Rome” by Charles Paschal Telesphore Chiniquy. An addendum to this story: Charles Chiniquy is key to the story of Lincoln as well as his testimony that members of the Catholic Church were telling people of Lincoln’s death hours before it even happened. Chiniquy, is a friend of President Lincoln and repeatedly warns the president that the Vatican wants him dead and that eventually he will be killed. Of course, even as is revealed in the book, Lincoln not only suspects he will someday be killed but he has recurring dreams about it.